Summer is fast approaching, and with it the usual quests for makeup that won’t slide off in the heat and fashion that will keep you cool and comfortable as well as stylish. It’s the perfect opportunity to revitalise your look and try out some fresh ideas, especially for those of us who might have let our style get a bit stale and routine as we’ve got older. We’ve put together our top tips for easy fashion and makeup ideas to help you embrace the spirit of summer. Experiment with colour. Our skin tone changes as we age, so those colours you looked great in years ago might not be your best match now. While pastels are a traditional summer choice, they can look washed-out and unflattering. Warm, vibrant shades such as magenta and teal not only evoke summer holidays but beautifully flatter mature skin tones and look amazing on older women too. And if you really love a colour that no longer compliments your complexion, you can try wearing it away from your face or as a accent to relieve your neutral shades – a bright yellow belt or red scarf will instantly add a splash of colour to an outfit and put you in the cheerful summer mood. When it comes to what to wear, you’re never too old to wear jeans. They’re ageless, endlessly versatile and can be dressed up with accessories if you don’t want to look too casual. Boot cut or straight-leg jeans teamed with a white shirt or silk top look fabulous on older women; choose a stretchy pair with elastane or lycra content for a figure-flattering look and the most comfortable fit. If you find denim too warm for summer wear, linen or cotton-linen jeans are a fantastic and comfortable alternative. Brands to look for are Michele, David Nieper, East and Gap. Natural ‘barely there’ makeup is the best kind for summer days when heat and humidity will impact on it, and fortunately it complements delicate mature skin tones beautifully. Swap your usual foundation and powder for a lightweight tinted moisture to give a dewy, healthy glow. A good bronzer used sparingly will give a hint of a tan even if the British summer weather fails to deliver. Soft matte eyeshadow in a warm neutral shade like grey or taupe paired with a tinted lip balm is an effortlessly natural and flattering look on mature women. Explore the Bobbi Brown, Charlotte Tilbury and Boots No 7 makeup ranges for colours that are excellent on mature skins. Statement sunglasses are a style essential for older women and a really easy way to give a fresh, modern look to any outfit. Whether you prefer glamorous Hollywood cats’ eyes frames or oversized vintage tortoiseshell, a good pair of sunglasses that suits your face and personal image is one of the best summer style investments you can make. Whether on holiday or simply enjoying the long summer days at home, there’s no reason to sacrifice comfort for style. Choosing clothing made from natural, breathable fabrics such as cotton, linen and silk will keep you cool and comfortable on the warmest days. Loose-fitting styles such as a long tunic top layered over wide-legged linen trousers are perfect for summer and look fabulously stylish on older women (think Judi Dench in Best Exotic Marigold Hotel!) – a perfect combination of elegance and practicality. 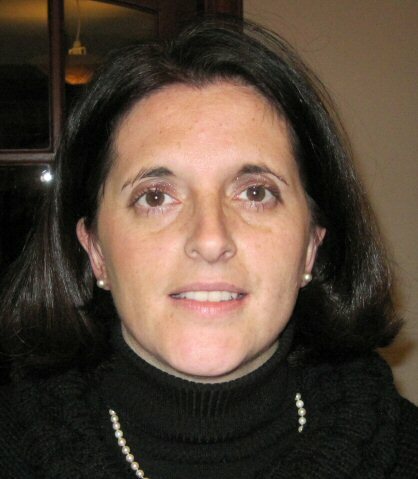 Hi I am Anne-Marie I am a French woman living in the beautiful county of Yorkshire. I hope you like my blog which covers topics such as fashion and travel.